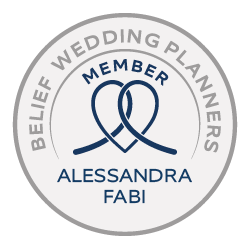 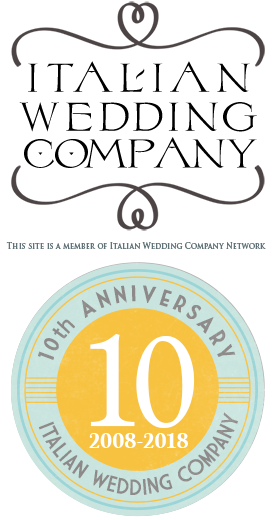 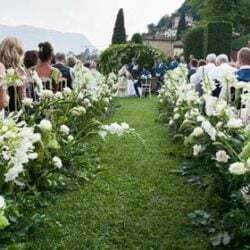 n our articles we always focus on our brides and grooms’ wedding days but today we would like to give you some advices to make your destination wedding in Italy even more special! 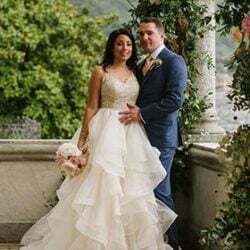 Couples who choose to tie the knot on Lake Como, often take the chance to spend a little holiday in this romantic destination together with their families and friends. 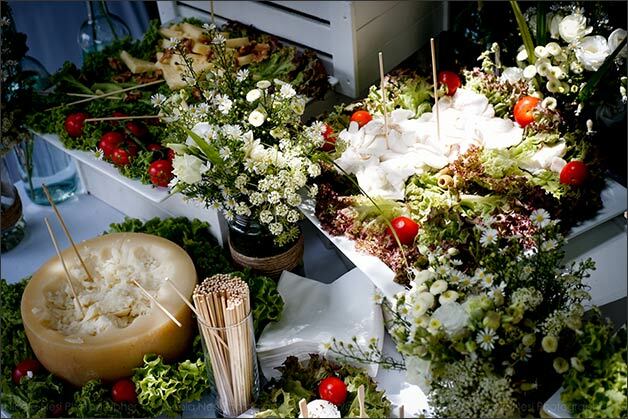 Your wedding planners can help you organise a warm welcome for all of them with a casual dinner and a joyful goodbye with a farewell brunch… It is just great to enjoy some time together, to get to know each other a bit better or relax after the wedding day! 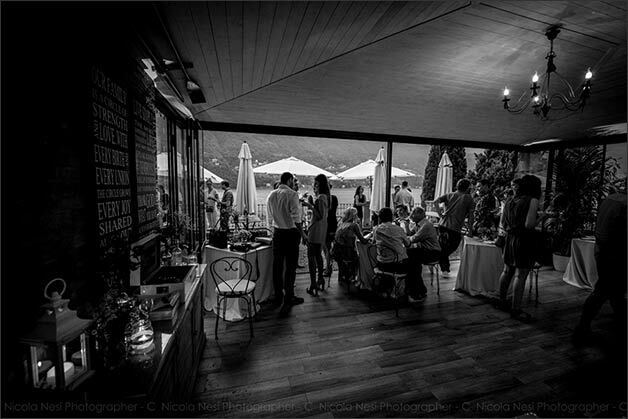 Some of our couples decide to organise little games the day before the wedding to loosen up and have fun all together. 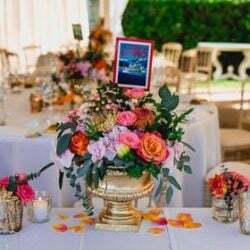 Some choose a dress code or a special theme to make their welcome dinner even more special. 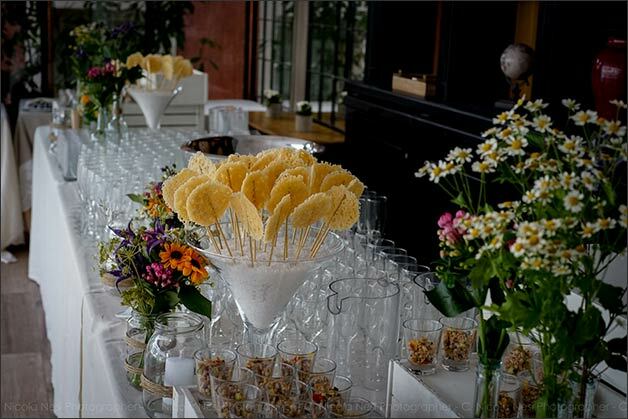 And what about having an intimate brunch all together after your wedding day? 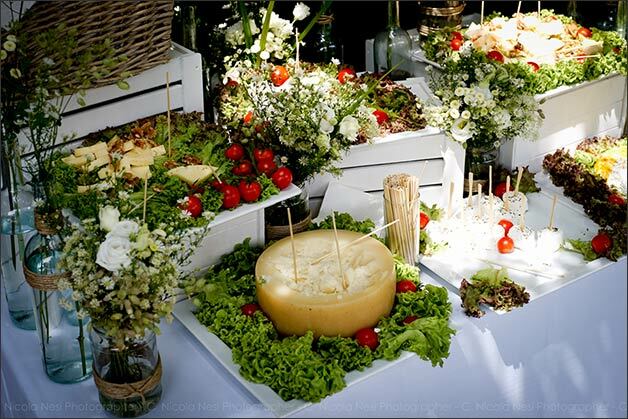 It would be the perfect occasion to thank all your guests and say goodbye t, before leaving for your honeymoon. 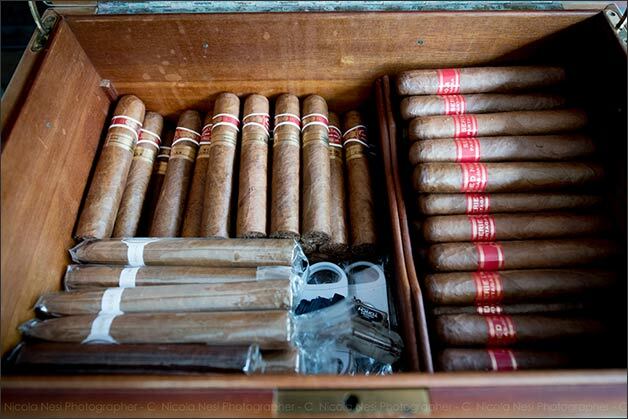 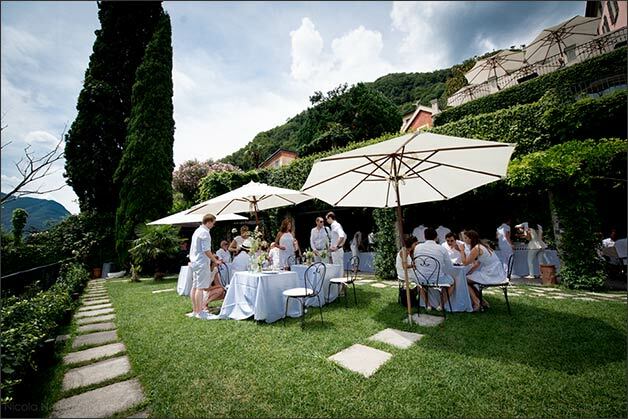 This could be a very nice idea to close your wedding celebrations and spend your last day in Italy just chilling out! 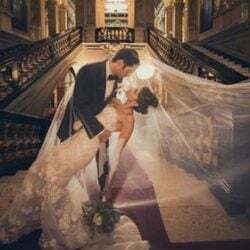 Having a photographer on during these events too could be a great idea. 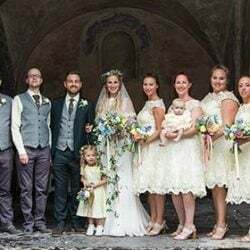 A professional wedding photographer can take wonderful pictures of these day letting you keep memories of very special moments. 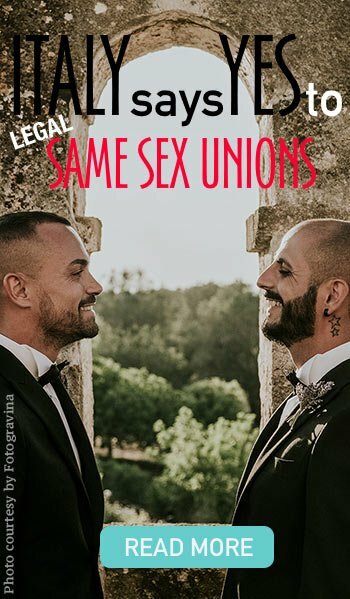 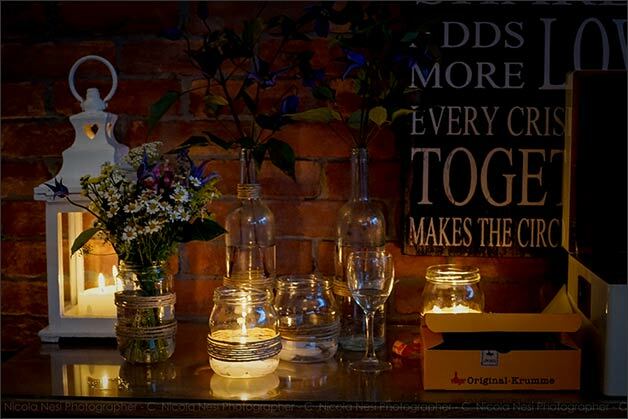 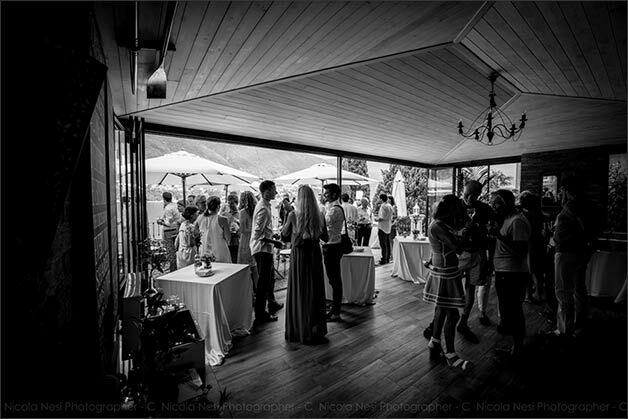 In this post you can see wonderful pictures Nicola Nesi photographer took during the parties we arranged for one of our couples. 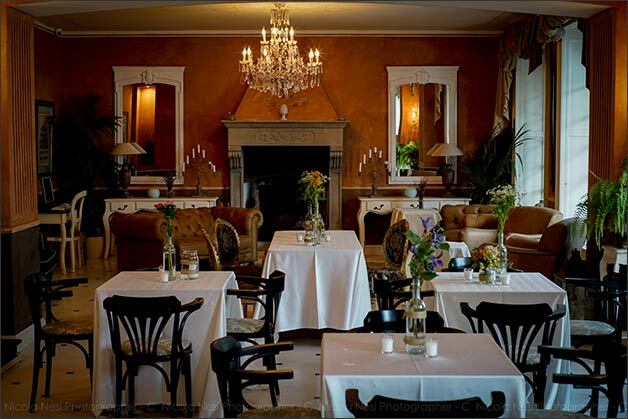 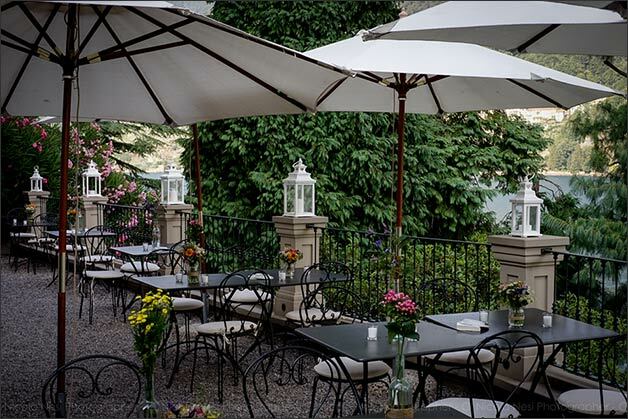 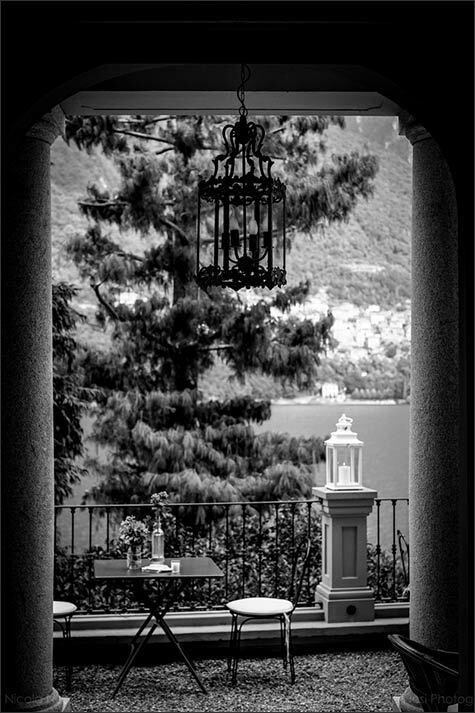 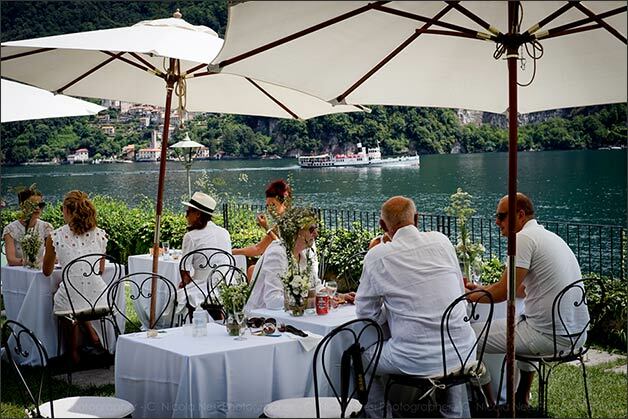 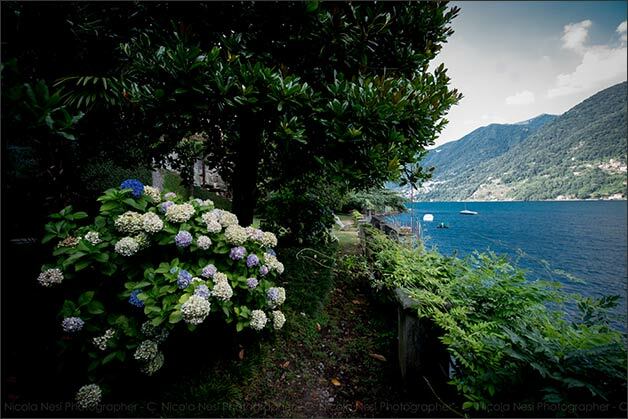 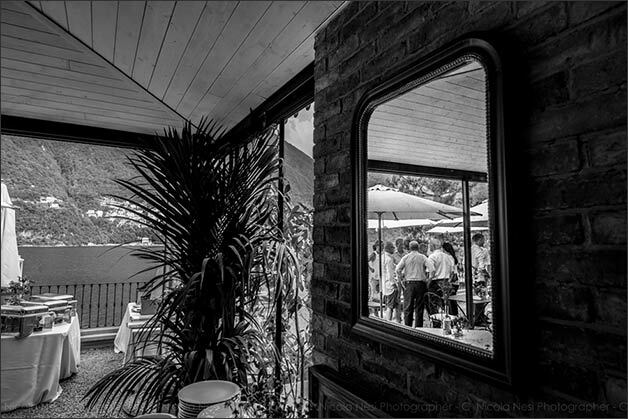 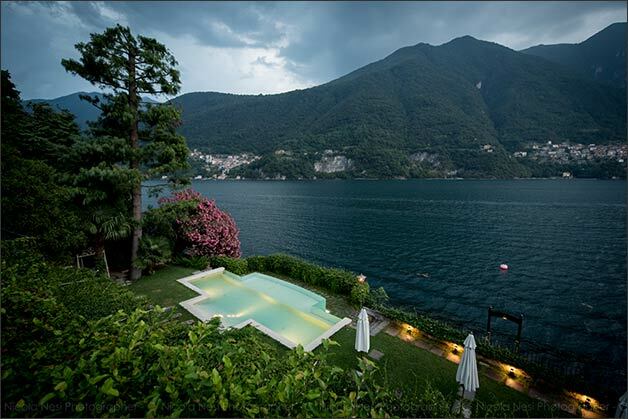 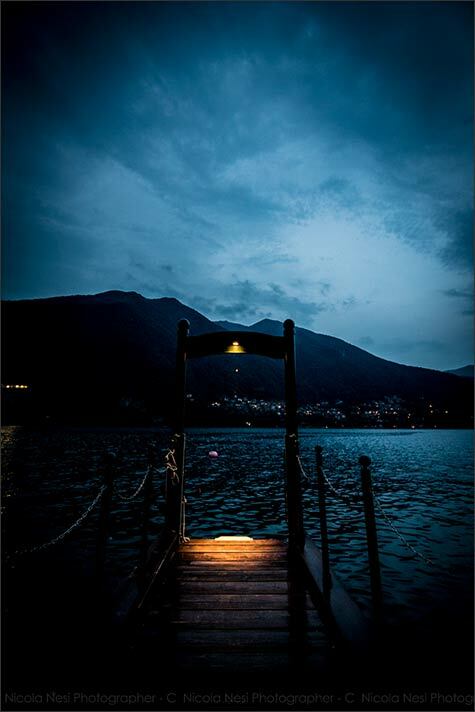 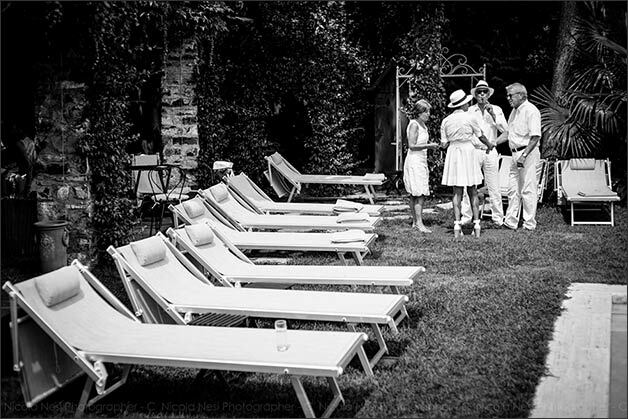 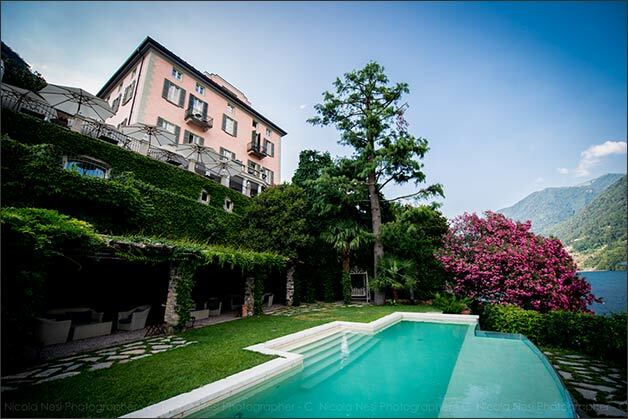 We can suggest the best places available on lake Como for your pre and post wedding events. 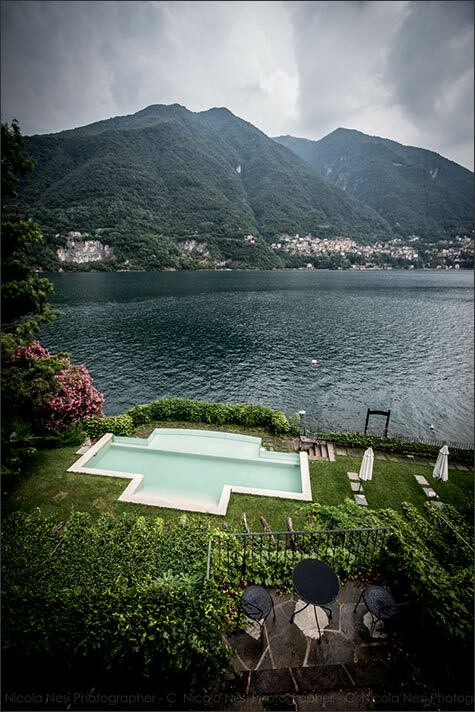 One of them is located in the small village of Laglio, with a wonderful view over Lake Como shores and coast. 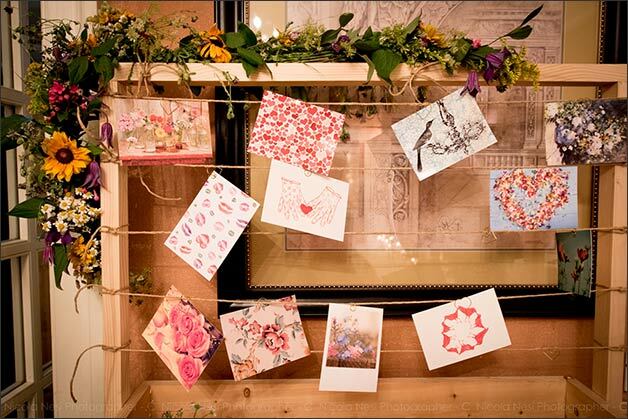 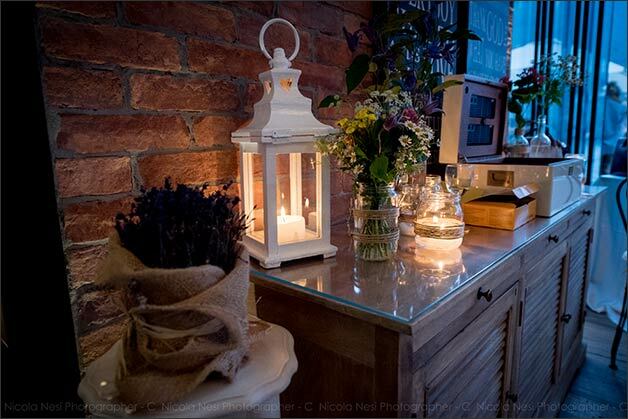 This venue is well-known for its elegance and shabby chic decor. 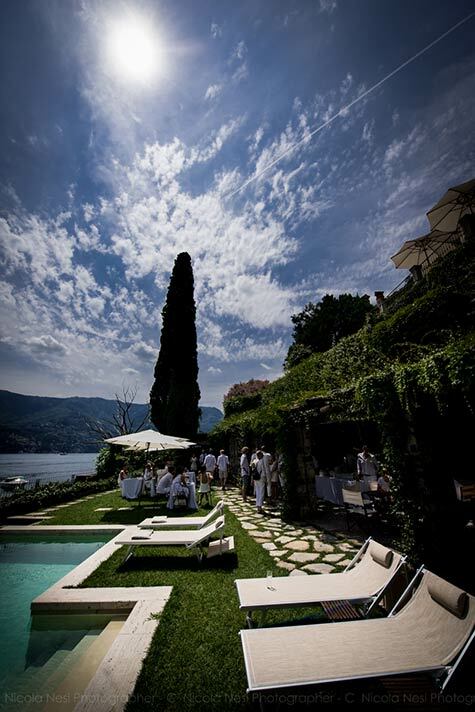 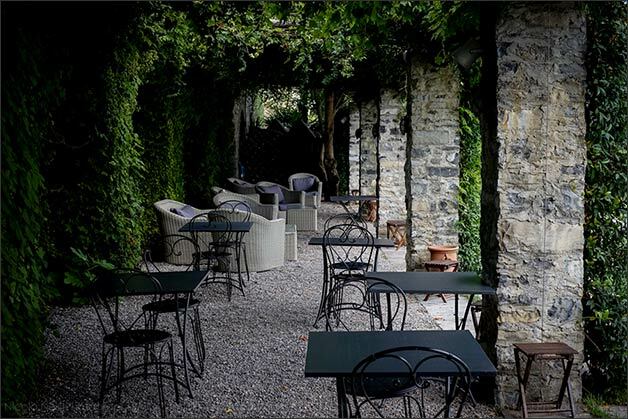 An enchanting boutique hotel, with a variety of unique indoor and outdoor corners that allows you to plan different private events, from the most formal to the more casual ones. 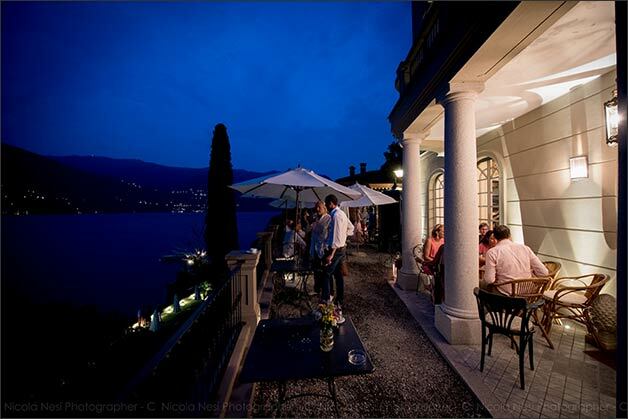 This romantic spot gives at your exclusive disposal a terrace for your aperitifs with a breathtaking view over Lake Como, romantic gardens under a wooden pergola overlooking the lake for your intimate and casual dinners and brunches, elegant indoor halls embellished by very refined furniture and a beautiful veranda that could host you and your guests in case of bad weather. 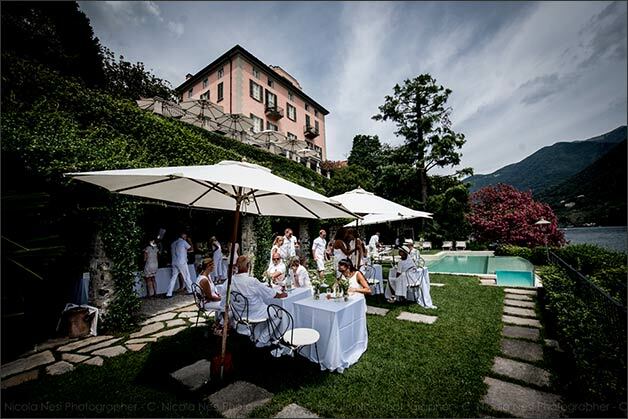 If you are looking for a special venue to planning your welcome dinner and day after brunch, we warmly recommend this awesome historical villa to make these events of your wedding celebrations just unforgettable… a perfect venue to celebrate and stay together with all your guests!